In this article, we have collected some good examples of UI trends that we think will be defining the industry in 2018 and beyond. Read our predictions below if you’d like to keep up with latest developments in mobile design world. While still far from perfect, human speech recognition technology slowly makes its way into consumer products (Siri, Echo, Alexa…) and this technology will only be improving. We believe so because it’s in line with one major general trend: Technology is becoming closer resembling the natural world. And with voice-activated UIs, mobile apps get a little more natural (it’s more natural for us to talk than tap and swipe with a finger) and simplify user experience (or at least designed to do so). We will see more voice-activated mobile products in 2018. Similarly, fingerprint-activated (or even eye-activated?) interfaces will play an important role in the mobile app interface designs in the years to come. Since the introduction of responsive website design, responsive logo design is the next logical step in meeting the demands of today. Over the past few years, prompted by the rise of mobile browsing, numerous brands have been redesigning their logos into modern, simplified and compact versions. The responsive design will surely be one of the major trends in the foreseeable future. For much of the last decade, custom graphic art and illustration has been pushed to the backseat by the cheaper stock imagery (also due to availability of the latter). But to differentiate themselves on the crowded market, in the past couple years, brands have increasingly been hiring designers to create highly artistic, “hand-drawn” visuals. And we think custom graphics and illustrations will continue being big in 2018. 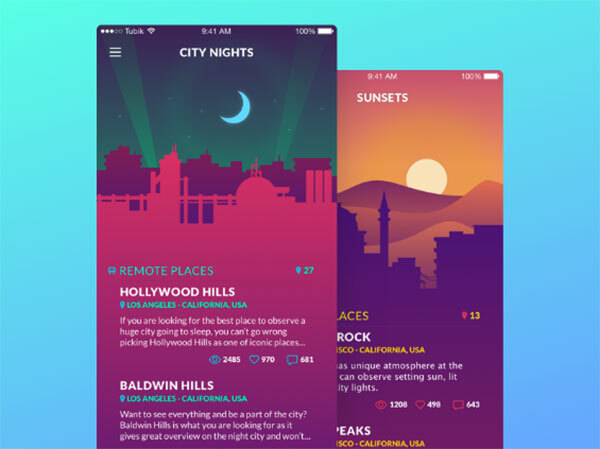 Overlapping of different mobile UI design elements has been widely used by designers in recent years and will be a popular choice for effects in 2018, too. The overlapping of fonts, graphics, and colors not only makes the design more eye-catching and beautiful, but also create a sense of space or dimension. Thanks to the new stronger screen, hardware, and information delivery capabilities of modern mobile devices, it makes sense that their UIs will become more advanced and “smart.” While true 3D UIs are not yet attainable at present, faux 3-D visuals and interactions are a growing trend. They help to take the esthetics of the app to the next level, which is not the last thing that will help a designer sell their app in 2018. Adding animations or interactions to icons, fonts, photos, and buttons of a mobile UI interface always pleases app users and creates richer and more fun experiences. This trend has been steadily growing and, we think, will continue so in the 2018 and beyond. Helping to promote the above trend is iPhone X’s new bezel-less screen, which brought new challenges for designers. The lack of the Home button forces designers to come up with more gesture-based interactions to compensate the lack of that button. Nowhere animations are more at home than in mobile video games. Games with interesting and complex animations — see as an example, this match blast game with vivid, swift transitions — were big in 2017, and this will continue into 2018 and beyond. As mentioned above, it’s a broad technology trend that our tech products need to be more realistic, natural, and human-like. Thus an app that can show some emotion on screen will evoke a stronger emotional response in a human user which will boost engagement. We are sure this trend of emotional UIs will grow and we will see more human-like or emotional feedback from apps. 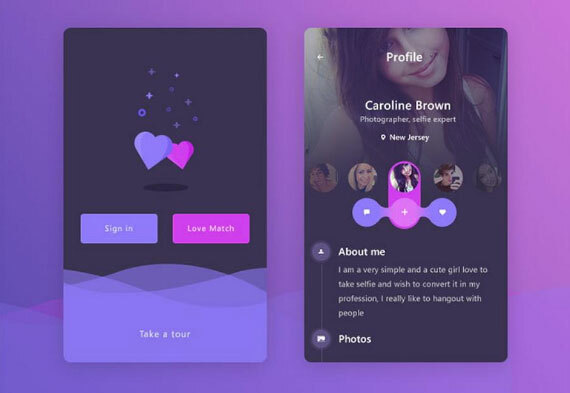 Many professionals predict the flat UIs, a popular trend ushered by Google that favors weaker, pale color palettes, will merge with a new trend that prefers bright and striking colors. Flat, minimalistic elements paired with contrasting and vibrant colors can yield amazing design effects. That’s why, in 2018, designers will be designers, they will keep being creative and experimenting with colors. Personalized user experiences is a young trend and one that will undoubtedly be growing in 2018 and beyond. We all like when an app feels close and personal. 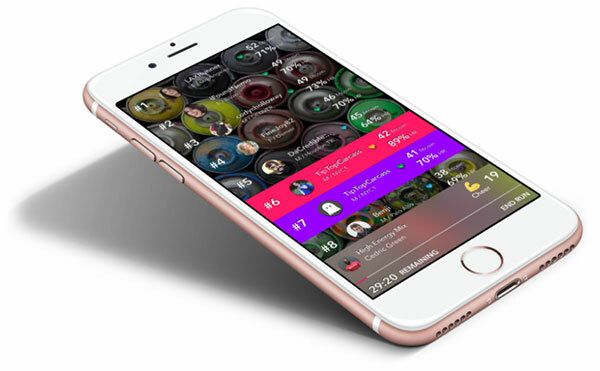 An example of a personalized UI can be age-responsiveness – when the app learns about the user and can self-adjust things like font sizes and colors based on the age of the user or turn up the volume when playing videos. That concludes our top 9 design trends for 2018. If you are a designer, we hope our predictions will help you to create incredible UX/UI design for your mobile apps in 2018. 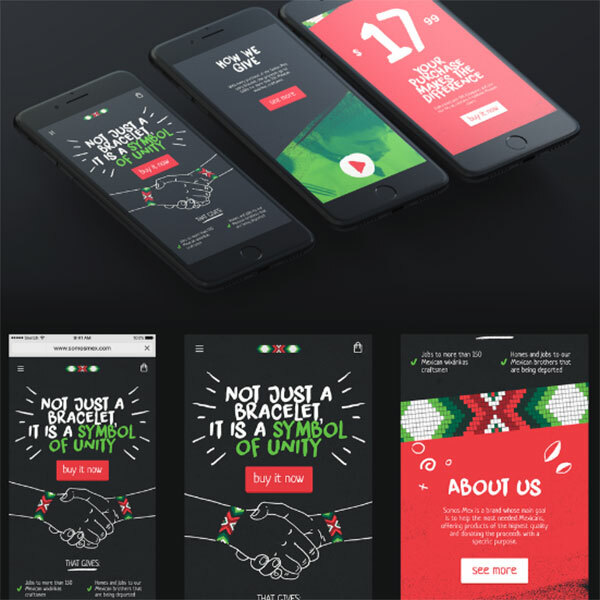 If you are a non-designer user, we hope you enjoyed our article and that it will help stay in the loop with the latest trends in the mobile design world.